Check out the complete list of cars that will be launched / unveiled at the Auto Expo 2018. The biennial event, one which every automotive enthusiast in the whole of South-East Asia looks forward to is only a couple of weeks away. Yes, we are talking about the upcoming 2018 Auto Expo. 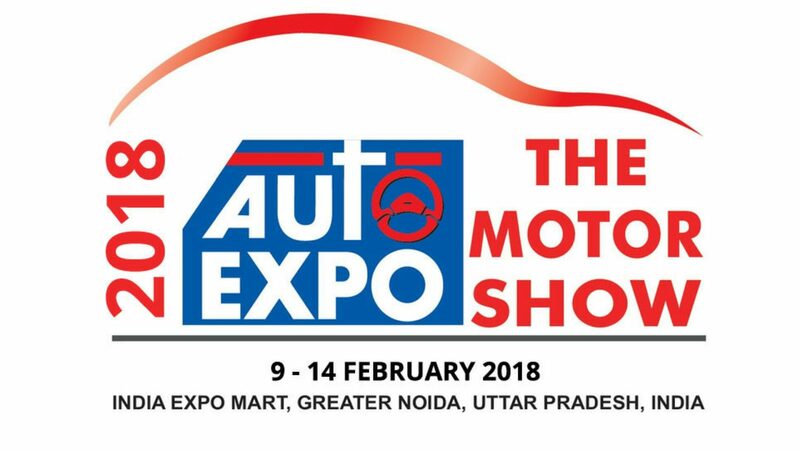 We, here at CarBikeIndia, have decided to give you the most comprehensive look into the cars, and automakers, who will be showcasing their offerings this month in Greater Noida. Some of the largest makers from India and around the world like Maruti, Toyota, Hyundai, Kia, Renault, amongst many others will be showcasing what the future holds for Indian auto industry. Here we will look at the comprehensive listings of the cars that will be showcased at the 2018 Indian Auto Expo. One of the most highly anticipated cars at the expo will be the all-new Maruti Suzuki Swift. The car will be launched at the expo on February 7, 2018. This will be the third-generation of the hatchback and it’s based on a new Heartect platform which also underpins the Baleno and the Ignis. With the same engines, the mileage of the new Swift 2018 has bumped to 28.4kmpl and 22.0kmpl for diesel and petrol motors, respectively. The car will be powered by a 1.2L petrol and a 1.3L diesel powerplant producing 84 bhp and 74 bhp respectively. 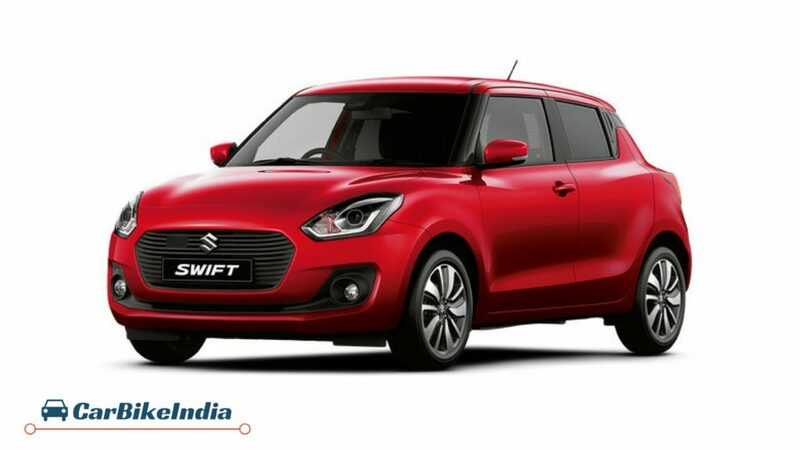 The booking for all-new swift are now open for a token amount of Rs. 11,000. Maruti’s updated sedan will also be showcased at the expo. It is expected that the Indian automaker will launch its Maruti Suzuki Ciaz facelift during the first half of 2018. It is likely to carry forward the same set of engines. During the 2017 Chengdu Motor show, the international model was showcased, which featured an elongated grille. It seems similar to the one we saw on the Kizashi sedan. We predict that the facelift model will feature the same 1.4L 92PS petrol mill and the smaller 1.3L 90 PS diesel motor in its variants. Maruti will showcase a petrol variant of its compact crossover Brezza at the Expo. It is unclear if the compact SUV will incorporate Maruti’s 1.0-litre BoosterJet unit or the same 1.2-litre powerplant which will be incorporated in the next-generation Swift and the outgoing model of Ignis. This is a new model of the nation’s favourite mountain goat. Yes, an all-new generation of Maruti Gypsy will be showcased at the 2018 Expo. It’s unclear if the automaker will continue to use the same moniker for the new SUV or will launch it as Maruti Suzuki Jimny. Regardless, we are excited to see what the car looks like in person because if the leaks are to be believed, the new car comes with attractive aesthetics. In terms of the specifications we expect the SUV will feature the same 1.2L petrol and 1.3 L diesel motors which will also be offered in the all-new Maruti Swift and Ignis. Maruti will also showcase a compact SUV which in its lineup of cars will sit in tandem with the Maruti Ignis. The Future-S is the automaker’s answer to raising demands of SUVs in India. This sight in consumer’s buying preference has made Maruti develop micro and compact SUVs which will fall in and under the sub 4-meter compact car bracket. First showcased at the Tokyo Motor Show 2017, the Suzuki e-Survivor is an electric vehicle (EV) which comes with two electric motors. These motors power the front and rear tyres. The Japanese carmaker says that the SUV will be a magnetic identity of the Jimny aka Maruti Gypsy in India. It will boast the off-road capability of the Jimny as evident from the large wheel arches. The concept features two-seat configuration and is likely to take production form by 2020. The second largest automaker in India might start its 2018 innings in India with a Hyundai Carlino-based compact SUV. A close to production model is expected to make an appearance at the Expo this year. The uninitiated Hyundai Carlino concept was first showcased at the 2016 Indian Auto Expo. Hyundai might showcase an entry-level hatchback at the upcoming Auto Expo which might dawn the ‘Santro’ badge which was once bestowed upon one of its most famous offerings. This car might get the same crossover treatment as the Renault Kwid. It is rumoured that the engine options from Hyundai Eon might make their way under its hood. Hyundai is also rumoured to be working on a 5-speed AMT gearbox which may also make its way into this new small car. With the growing interest in electric vehicles, especially with the Indian government pushing towards all-electric cars agenda by 2030, it comes as no surprise that Hyundai wants to get its horse in the EV race as early as possible. It is expected that leading the charge will be its luxury EV offering the Ioniq sedan, which is expected to make an appearance at the 2018 Auto Expo. The 2018 model will come with a 120PS electric motor which is expected to offer a driving range of 320 km. Another contender in the compact SUV segment might make its way onto Indian roads out of Hyundai’s stables. It is rumoured that the Korean automaker will showcase a compact SUV, which will share its underpinnings with the i20 hatchback platform. The car is expected to be offered with two battery options, viz. a 50 kWh pack or a long range 64kWh pack. This will mean that Konda will feature driving ranges of 240 km and 330km depending on the variant. If it wasn’t already established that with its fluidic 2.0 design, Hyundai Creta is one of the most attractive compact SUVs in the Indian market today. The Korean automaker has now decided to do itself one better and give the car a facelift. The Hyundai Creta facelift will probably continue to incorporate the same engine options as the ones seen on the current model with some add-on creature comforts. So far, it is believed that the update will only be skin deep, which alone is enough to grab the spotlight at the Expo. Hyundai’s contender against the likes of Toyota Camry Hybrid and Honda Accord Hybrid will also be taking the stand at the 2018 Indian Auto Expo. Hyundai has traditionally been the one to take its time, in terms of entering a segment but the same allows it to capitalize on the opportunity and offer a feature-laden performance machine which gives the competition a tough fight. The car is expected to be powered by a 2-0L petrol motor which in tandem with an electric motor will give the car a combined driving range of 970 km and a fuel economy of 40kmpl. Another facelift from Hyundai will cater to the growing demand for premium hatchbacks in the country. The car is expected to feature aesthetic updates like a cascading grille. Under the hood to entertain the hot-hatch fans there might be an option of turbocharged petrol. It is also likely that the Hyundai i20 facelift might be launched at the upcoming expo. Honda’s contender for the standoff against Renault Captur and Hyundai Creta will be present at the 2018 Auto Expo. We expect the car to be priced at a premium tag just like all the cars in the Japanese automaker’s lineup. We also expect HR-V to be placed over BR-V and to be offered with a plethora of features. The next generation of Honda Civic will finally land on the Indian soil at the 2018 Indian Auto Expo. This generation of Civic has garnered a lot of praise in the international market and seeing how its successor is one of Honda’s most popular offerings in India, the future of this sedan looks promising. We expect the Civic will be offered in 1.8L petrol and a 1.5-litre Diesel motor options. Honda Accord’s current stint in India has not been very impressive, regardless we expect the Japanese automaker to showcase the 10th generation of the hybrid premium sedan at the 2018 Indian Auto Expo. The new model will feature the same origami-esque design as the one incorporated in the 2018 Civic. The car will feature a raked roofline, hatchback-reminiscent rear end and will come with a turbocharged petrol motor which will be coupled to two electric motors. The car is expected to feature a 10-speed automatic transmission. Powering this premium sedan will be a 2.0-litre turbo-petrol motor which will be paired with 2 electric motors. Honda’s compact sedan has always been one of the most impressive offerings in the segment. The creature comforts might have been past their days of glory but the build quality, performance and safety features on this compact sedan were always ahead of its time. Even with new entries in the segment the car stood its ground well in terms of value for money. The sales suffered because of Amaze’s perception amongst Indian customers. With a new wave of compact sedans entering the market, it is time for a new Amaze. We expect the current 1.2 L petrol and 1.5 L diesel engine options will be carried forward in the new car. We are looking forward to this showcase at the Expo. The XUV Aero was first presented as a concept at the 2016 Auto Expo. This time around we expect Mahindra to present a production-ready model. With the growing demand for premium SUVs in the country, this SUV coupe has a consumer base which is highly anticipating its launch. When launched it is expected that Aero will feature a 2.2 L mHawk Diesel. Mahindra will be showcasing an all-electric version of its KUV100 compact SUV at the upcoming Expo. Mahindra is currently developing electric motors which will have power outputs ranging from 40 bhp to 200bhp . We expect that the KUV100 Electric will feature a 75 bhp electric motor and it is likely that KUV EV will deliver a driving range which will fall somewhere between 150 km to 180 kms. In the premium compact SUV segment, Mahindra is expected to get its foot in the door with a Tivoli-based compact SUV which has been codenamed S201. Tivoli was first showcased at the 2016 Auto expo. With the Korean automaker’s platform and Mahindra’s input we expect that this time around the S201 will be showcased in its near production-ready avatar. It is likely that S201 will be offered with a 1.5 L petrol and 1.6L diesel engine options. We have seen a camouflaged prototype of Mahindra’s MPV making rounds on the Indian streets. We expect the Indian automaker to showcase the new offering which is expected to rival the likes of Toyota Innova and will be Mahindra’s second offering in the MPV segment. The MPV is likely to incorporate the same 2.2 L diesel engine we find in Xylo, which delivers a claimed fuel economy of 14.95kmpl. Toyota might introduce a new sedan in the Indian market. We are not sure if it will be the Vios, a sedan that Toyota has on sale in the international markets. Rumors also suggest that this new sedan will incorporate the platform previously seen in Toyota Etios and will take styling cues from Vios. In terms of the engine option, we believe the new sedan will also be offered with a 1.4-liter diesel mill which it will share with Toyota’s Corolla Altis sedan. It is also likely that a 1.5 L petrol unit will be on offer. The next generation of one of the most popular premium hybrid sedans in the world will make an appearance at the 2018 Indian Auto Expo. Toyota Camry will rival the likes of 2018 Honda Accord and the 2018 Hyundai Sonata. This offering from Toyota will come with a petrol-only hybrid powertrain which will share its underpinnings with the Prius hatchback. The car will incorporate a 2.5 L Petrol hybrid setup. Indian auto industry has a soft spot for premium hatchbacks and compact sedans and in Toyota’s lineup, the Etios Liva never managed to cut the mustard against its competition. The Yaris hatchback is one of the most popular offerings by Toyota in the international markets and the 2018 model is loaded with features. With the hatchback also available in a compact sedan variant globally i.e. Yaris iA, Toyota’s offering at the 2018 expo is expected to receive some much-deserved attention. The hatchback is likely to feature 1.2L Petrol and 1.4L Diesel engine options. Another entry into the premium SUV segment might just feature a Tata badge. The Indian automaker is capitalizing on its JLR partnership and it is believed that the Q501 premium SUV will be built with inputs from Land Rover. The SUV will be based on its Discovery platform. Powering the car will be a 2.0-litre Fiat multijet diesel mill and we expect that the SUV will make an appearance at Tata’s pavilion during the 2018 Auto expo. Q501 is expected to rival the Ford Endeavor, Toyota Fortuner and the 2018 Honda CR-V which is also expected to be showcased at the upcoming Auto Expo. Speaking of capitalizing on the JLR partnership, we expect that Tata Motors will also showcase a compact version of the Q501 premium SUV. The car is expected to incorporate the same platform as its big brother and will receive Land Rover’s highly acclaimed Terrain Response System which will also be offered in Q501. Q502 will be placed above Tata Motors current flagship SUV, the Hexa and is likely to be powered by a 2.0L diesel motor. Tata Tiago impressed us a great deal and Tata Motors is aiming to continue the streak with an offering that will mark its entry in the premium hatchback arena. We expect Tata X451 to be showcased at the upcoming Expo and it might feature the company’s in-house developed, advanced Modular platform. Powering the hatchback will be 1.2-liter petrol and diesel mills and if the new hatchback receives the same approach to design as Tiago did, we believe that X451 will be a drop-dead looker. One of the most highly anticipated showcases in Tata’s lineup for the 2018 Auto Expo will be the company’s very own sportscar concept – the Tata TaMo Racemo. This will be the second sportscar, which has been developed by a domestic make to hit the Indian auto-market after DC’s Avanti. The sports car will come with a 1.2L Revotron turbo petrol motor capable of producing 186 bhp of power and 210 Nm of peak torque. The motor will come mated to a 6-speed AMT transmission and will be a can’t miss sight at the motor show. Making its way into the electric vehicle production, Tata will showcase EV avatars of its Tiago hatchback and Tigor compact sedan. The company has secured an order of 10,000 units by the Government of India and it is believed that post the Expo the electric sedan will also be made available to the public. Electric motors are very torquey and the torque delivery, especially in terms of acceleration is instant, which is why Tigor electric will get 200Nm of torque and it is also expected that the sedan will be able to accelerate from 0-100kmph in under 11 seconds and will offer a total driving range of 150kms. Along with electric Tigor, Tata will also be showcasing the electric version of its Tiago hatchback and the car will incorporate the same 85 kW electric motor as in its electric compact sedan offering. We expect Tiago electric will be priced comparatively cheaper than Tigor and feature better performance figures and driving range. Renault will showcase its ZOE hatchback to demonstrate its electric vehicle technology at the 2018 Indian Auto Expo. We do not expect the French automaker to launch this EV anytime soon in India but with the growing popularity of EVs in the country, we believe if ZOE gets enough interest going at the expo, Renault might just contemplate launching it in India soon. Renault has priced its segment entrants aggressively in the past and if ZOE is launched, we expect it to receive the same treatment. Under the hood, we expect to find a 41kWh electric motor. In the old Mercedes tradition, the luxury carmaker will also showcase its F1 champion at the auto expo. The car will be a sight to behold especially for the fans who religiously follow the German automaker’s impressive Grand Prix journey. The most savage grand tourer from Mercedes is also part of the German automaker’s expo lineup. The visitors will get to see the green menace which is powered by its 4.0-litre V8 petrol engine, capable of producing 585PS of power and 700Nm of torque. If you want to see what a car, which can accelerate from 0-100kmph in under three seconds, looks like, then you know you’d have to head over to the Mercedes showcase. The SUV of the future comes from Mercedes pavilion and will be available for you to admire with awe at the 2018 Indian Auto Expo. The car is supposed to go into production in 2020. The car is powered by two electric motors which produce 408 PS of peak power output. All of this and you also get 500km of driving range. After Volvo, Mercedes has decided to take a crack at converting its sedan into a rugged, off-roading station wagon. This contraption will be on display during the Expo and to ensure its off-roading abilities are evident, the E-Class All Terrain vehicle incorporates an exhaustive use of cladding all over and comes with Mercedes’s 4MATIC all-wheel drive setup. Here’s some launch news, Mercedes will launch its ostentatiously luxurious Maybach S650 at the 2018 Indian Auto Expo. The car is powered by a 6.0L V12 and incorporates every feasible creature comfort inside the cabin. The car can accelerate from 0-100kmph in under 4.7 seconds, all the while carrying your favourite champagne in a chilled refrigerator that sits conveniently between the rear seats. To the uninitiated Kia is a subsidy of Hyundai, so most of the cars that will be showcased at the expo will be badge engineered from its sister company’s offerings. For instance, the Kia Sportage is likely to incorporate the same 2.0L diesel motor which finds its application in the Tucson SUV. However, Kia’s design approach is highly revered in the international markets, so prospective buyer must check these cars out for when they hit the Indian streets. Speaking of badge engineering, if you would like a ground-up brand-new offering from the Korean automaker, then don’t fret. Kia’s Rio sedan is built on a completely new platform and this sixth-generation iteration of Rio is expected to rival the likes of Honda City and Maruti Ciaz. However, for complete disclosure, we must inform you that there is a big chance that the Indian-spec Rio might end up incorporating the same diesel and petrol motors we get in Hyundai Verna. The most exciting and downright striking car at the Kia pavilion will have to be the Stinger. The muscular design, sculpted overhangs and the sloping roofline adds to its sporty credentials. Also, adding to the said credentials are the engine options found powering the Stinger globally, which might be offered in India as Stinger is Kia’s flagship performance sedan. Stinger might also come with flappy paddle gear shifters, which coupled with the said engine options, will deliver a peak power output of 370PS in it 3.3 L petrol variant. It is quite possible that Kia might just introduce Niro in India with both petrol and plug-in hybrid variants. The automaker might just go ahead and incorporate the same hybrid technology which finds its application in the Ioniq sedan into Niro. There is also a hybrid and an all-electric model available in the international market and Kia has recently announced that it will launch 16 models by 2025, globally, so it might be safe to assume that the Korean automaker might just introduce Niro in its all three avatars. Niro produces a combined power output of 141PS, in which the petrol mill delivers 105PS. The plug-in hybrid variant comes with a claimed driving range of 58 km. BMW X2 is one of the most aggressive looking compact SUV we’ve seen in a long time. Having said that, looks alone are not the only reason you would want to make your way to the BMW arena at the Expo. After its Milan showcase, BMW announced that it will be launching X2 globally in March 2018. It is quite possible that the German automaker might launch the much-anticipated compact SUV right after the Expo. The third generation of BMW X3 SUV will be showcased at the Expo. The small now features design cues which are inspired by X5. The car also incorporates BMWs Cluster architecture (CLAR). BMW has said that X3 will be launched later this year and we expect that it will continue to feature the 2.0-liter diesel powerplant which currently takes on the propulsion duties in the outgoing model. BMW is expected to launch the all-new M5 at the expo. The new car gets the four-wheel drive setup for the first time. M5 is the more track ready version of BMW’s 5-Series which has now undergone some serious overhaul, courtesy of the German automaker’s M performance division. The changes are not only done to the underpinnings and the powerplant but even in terms of the overall design, the M5 now get a newly sculpted bonnet and bumpers. The 4.4L retuned petrol engine now produces 600PS of peak power output and 750Nm of torque. As an answer to the Mercedes E-Class LWB, which was launched last year, BMW has confirmed that it will launch its second GT offering to India later in 2018. The BMW 6 Series GT will find its place between the 5 and 7 Series in the German automaker’s current lineup for India. We expect the grand tourer to make an appearance at the expo. When launched the car will be offered with 2 diesel options viz. 2.0L & 3.0L and one 2.0L turbocharged petrol variant. BMW has confirmed that it will be launching the BMW i3 in India later this year. This is the second ‘i’ offering by the German automaker, who previously gave us the BMW i8. We expect the car being showcased at the 2018 Auto Expo to be the 2018 BMW i3, which is available in the international markets. This model comes with 33 kW batteries as compared to its successor which was offered with 22 kW batteries. Expect the car to deliver a peak power output of 170 PS and a driving range of 180 km, which is quite impressive. The new BMW i3 also comes with range extender which uses a 0.6L petrol motor as an onboard generator to produce more power and extend the driving range further. We first caught a glimpse of the 2017 BMW i8 at the 2017 Los Angeles Motor Show and this year BMW’s flagship, futuristic mid-engine sportscar is coming to India at the upcoming auto expo. What impresses us the most about the new i8 is the fact that it is not just a regular i8, which was thrown under a can opener, but the entire design of the new roadster has been reproached to bestow it with a unique look. Design accents like the new 20-inch wheels, the roadster badging in the C-pillars, air shutters in the bonnet and so much more, make it stand out from the crowd in an ostentatious but ravishing way. The i8 Roadster also gets a more powerful 143PS electric motor and a bigger battery, which produces 231PS of peak power output and 320Nm of torque. BMW i8 continues to incorporate the same 1.5-litre range extender petrol engine as its hardtop sibling.